I often use my computer alongside a desktop at work and thought it would be nice if I could use the desktop’s keyboard and mouse on my laptop without having to unplug them. 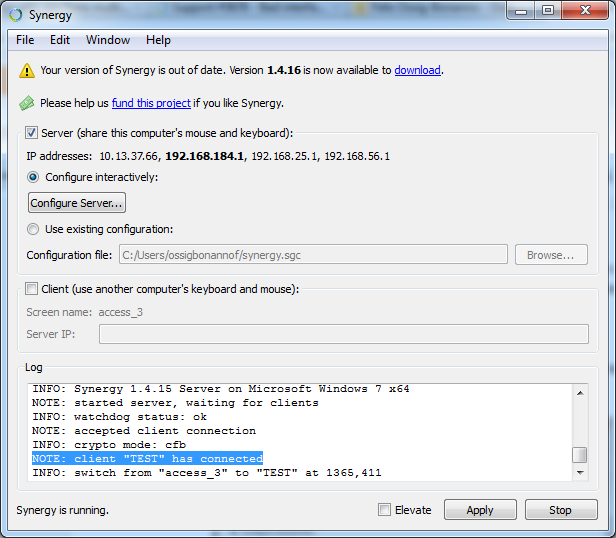 After some researching I found Synergy which does exactly that. Step 1: The server is the computer with the keyboard and mouse attached. 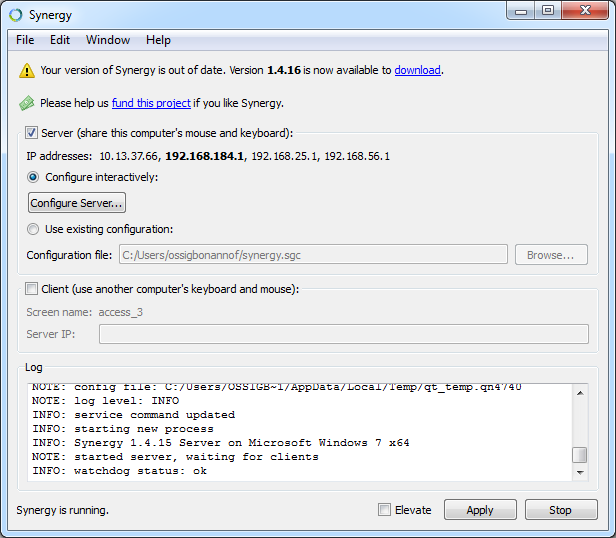 You first need to download and install Synergy. When you first run Synergy the wizard will run. 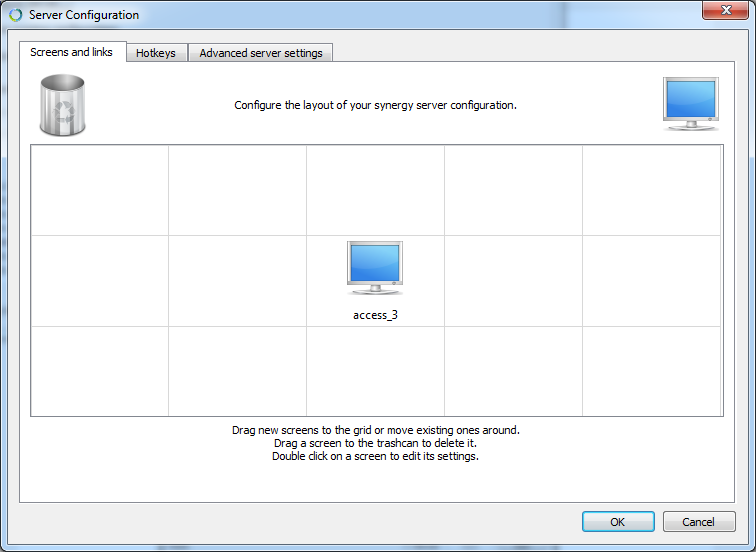 On the first screen select “Server”. 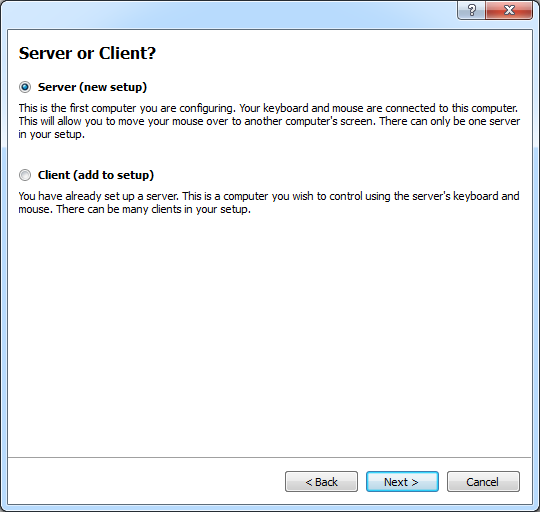 Step 3: Ensure the “Server” checkbox is selected and press “Start”. You should see a message saying that the watchdog status is ok. Note that in my case my ip was 10.13.37.1; which was not the one shown in bold in Synergy (I’m not sure why this is). 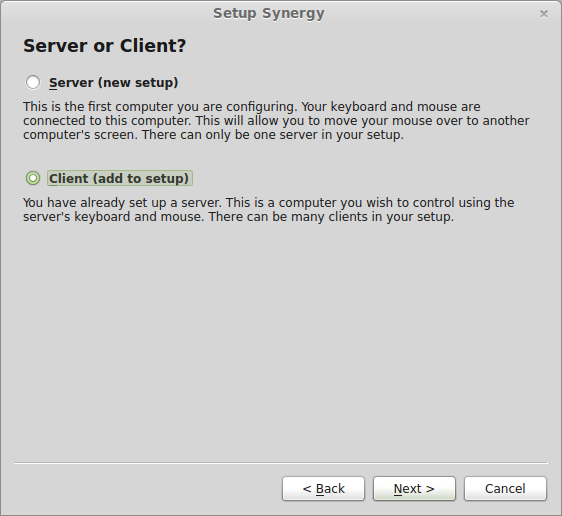 Step 5: You now need to download and install Synergy on your Client computer (in my case Linux Mint 16). 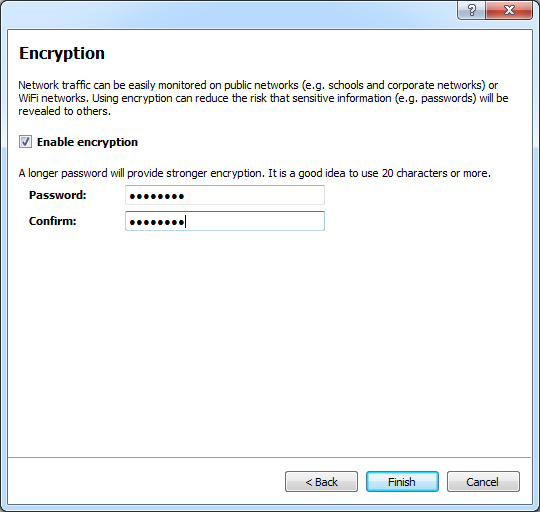 Select “Client” during the initial wizard and enter the same encryption password used in Step 2. Step 6: You now need to enter the ip of the server (which you found in Step 4). 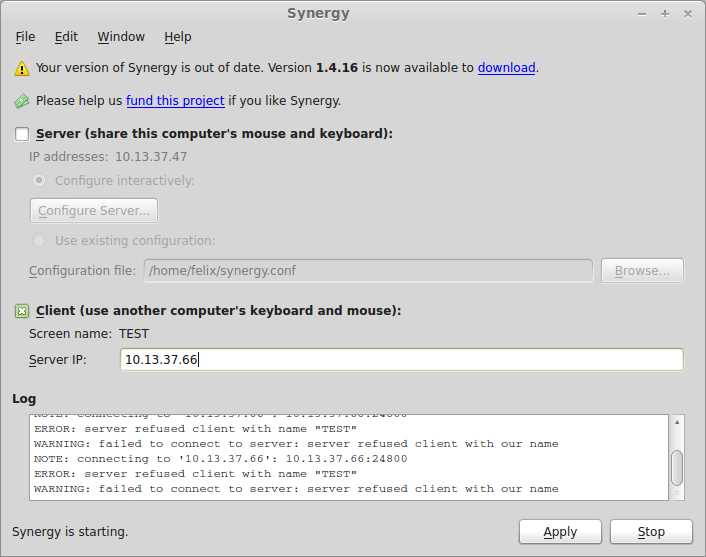 Press “Start” and if you Synergy finds the server you should see an error about the server rejecting the name (which you can edit in the settings). This error is expected. Step 7: To connect to the server we need to change some settings. On the server press “Configure Server”. This should bring up a screen similar to the one below. You’ll need to drag a monitor from the top right hand corner into one of the boxes around the existing monitor. Its position should reflect the physical computer placement. 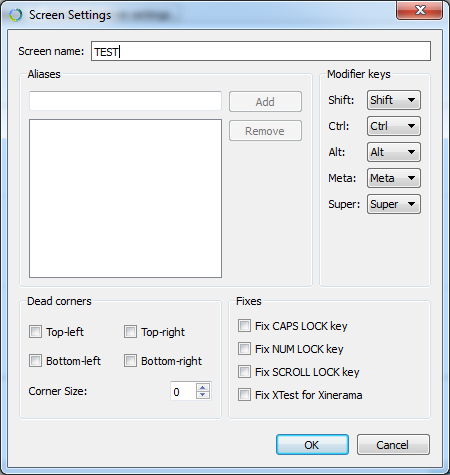 Step 9: Return to the main screen and press “Apply”. You should see a message in the log stating that “client has connected”. You should now be able to use your mouse and keyboard on both computers.